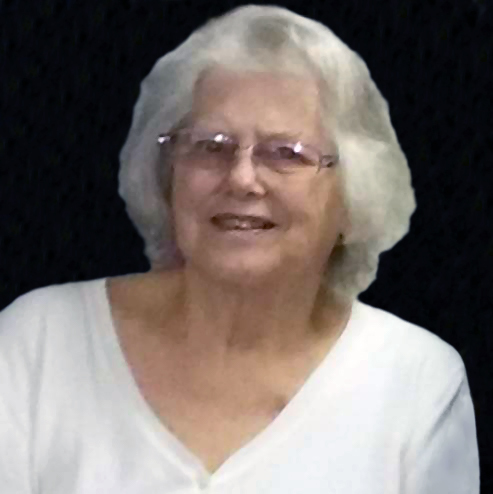 Obituary for Eileen Adell French | Langeland Family Funeral Homes, Inc.
Died Saturday evening October 27, 2018. Eileen was born December 23, 1939 in Kalamazoo, Michigan a daughter of Francis and Pansy (Brewer) Crawford. She had been a lifelong Kalamazoo area resident and was employed with the U.S. Postal Service for 23 years, retiring in 2000. Eileen was a member of the Salvation Army and enjoyed various church activities. She was preceded in death by her parents; her husband, Gerald W. French on March 8, 2003; and several brothers and sisters. She is survived by 5 children, Brian (Faye) French of Annapolis, MD, Deborah French of Kalamazoo, Jane (Jason) Hardy of Battle Creek, Christine French of Allen Park, MI; and Wendy Evans of Kalamazoo; 8 grandchildren; a great-granddaughter; a sister, Linda Plank of Nappanee, IN; a brother, Skip Crawford of Climax; and several nieces and nephews. Services will be held 3 o'clock Sunday at the Salvation Army, 1700 S. Burdick St. Visitation will be 4-7pm Friday at the Langeland Family Funeral Homes, Memorial Chapel, 622 S. Burdick St. Private burial will take place at a later date. Memorials may be directed to the Salvation Army Youth Fund. Please visit Eileen's personalized webpage for directions, online guestbook, or to leave a condolence. www.langelands.com.